Despite the catalog of high profile games under the development chores of Avalanche Studios, the development house behind such games as the Just Cause series, Mad Max, and the upcoming Rage 2, Generation Zero was a title that a lot of people didn’t see coming. While the title has some interesting ideas and moments of intense combat, its wide open world can leave a lot to be desired, despite how absolutely gorgeous it can look. 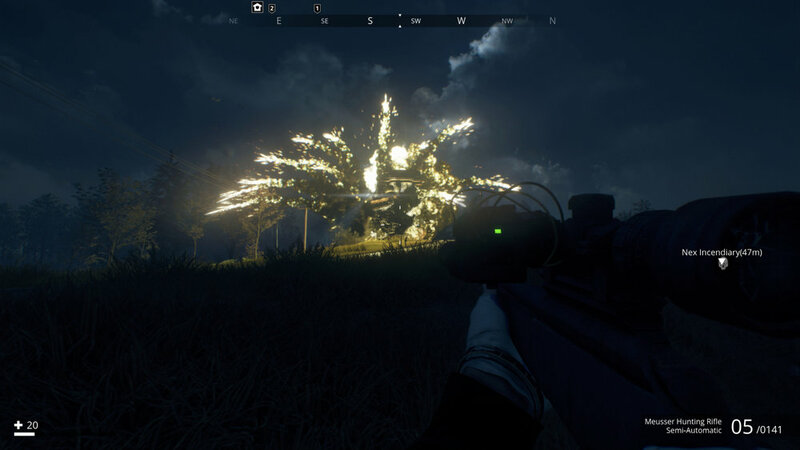 For a game that follows the trend of environmental story telling, it just doesn’t tell an interesting or captivating narrative among the evacuated Swedish setting filled with an army of robotic creatures that are intent on putting you down. It was only a few hours into Generation Zero where I was blown away by how good this game can look. Many of the locations you visit look like paintings and the level design and lighting only look to compliment its visuals even further. That said, it’s when you start to look closer that you’ll start to notice that almost every house, shack, or structure, is painfully copy and pasted to the point of knowing that each shack will have the same chopped wood, the same green bicycle, or that every house seems to own the exact same alarm clock, kitchen table, or that every bunker has the exact same white board, sporting the same colored magnets in the same patterns. It also doesn’t help that nearly every layout is pretty much identical, save for a few locations here and there. This copy and pasted nature of level design is lazy and despite how fun the combat can be, it really drags down the sense of discovery when you are looking to explore a whole new area and it turns out to be no different from the last one. 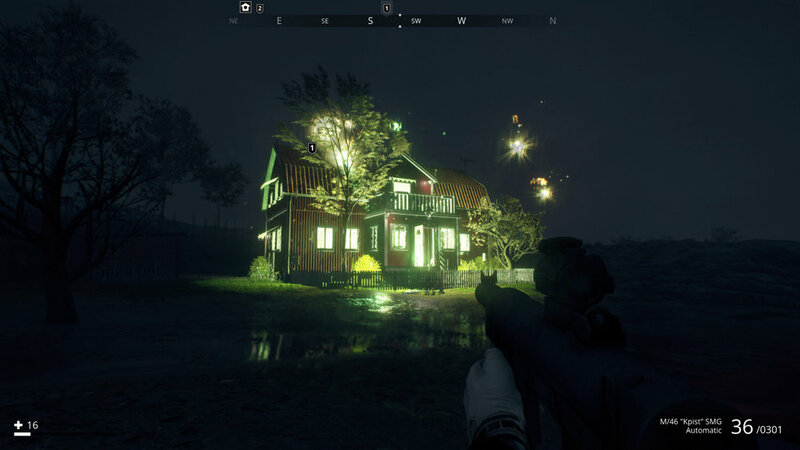 Generation Zero takes place after the events of an alternative World War II, set in 1989 in a Swedish countryside that is under patrol by mechanical creatures that are programmed to kill you on sight. While you are given a short explanation of the state of the world; what’s happened to the people who have lived here is a mystery you’ll look to solve. Much of that story is told through notes, answering machine messages and other visual storytelling devices that are typical of the genre. Despite a cool premise like a robot army taking over Sweden, the story is rarely engaging enough to read through all the notes or take an interest in what actually happened here. 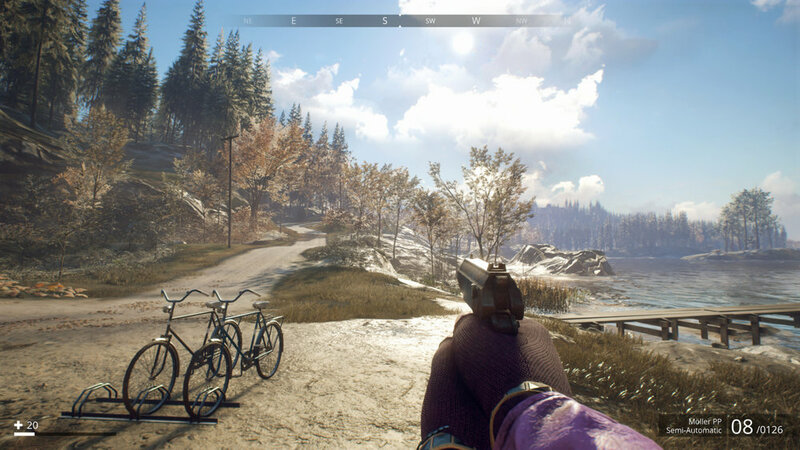 Through several comparisons, Generation Zero feels like a bland version of Fallout 76, sporting a empty world without another single human NPC in sight, all without the charm and appeal of Bethesda’s massive franchise, regardless of your feelings on the recent multiplayer version of Fallout. With co-op being a focus for the title, it is in that teaming up with other players that makes Generation Zero really any fun at all. I’ve largely enjoyed the combat, which I’ll go into detail shortly, but it’s been through exploring this gorgeous countryside with old friends and new ones that has made my time with the game to be fairly positive, despite the mediocrity that can be on display here. Generation Zero unfortunately commits the biggest co-op sin by having mission progress only saved by the host player, which prevents your teammates from earning progress towards their own game. 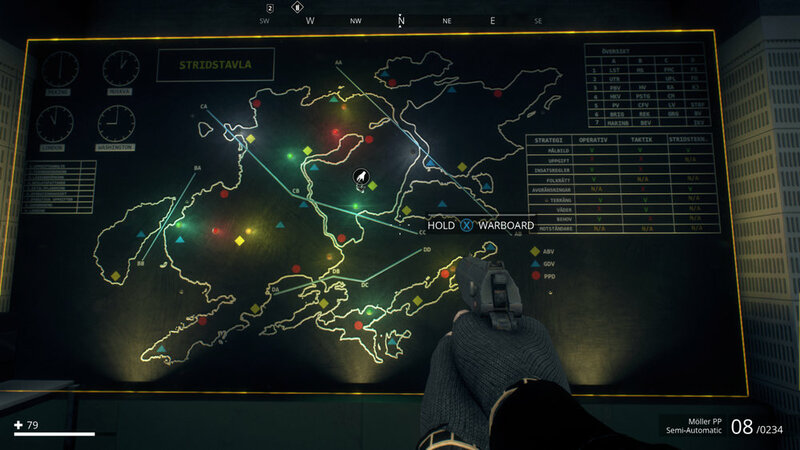 Sure, players will keep their character progress and cosmetic unlocks, but as they jump back into their own game, their map will be devoid of any story progress. This is made even more frustrating that missions are mostly built around just “finding” locations and interacting with objects; with very few events that are centered around huge story reveals or anything that could be considered a major spoiler. This sort of progression system is one that is usually poison to co-op as it leaves little incentive for players to want to group up, or deciding who would be the host player. If you regularly play with another player or group of close friends, then this probably won’t be an issue, but it’s still one to point out. What little appeal Generation Zero has is in its combat, its clothing options, and the gathering of new guns, scopes, or the tools you’ll equip to trap or confuse your prey. Thankfully, each location has a checklist, alerting you when you’ve discovered everything in the area, allowing you and your teammates to move on to the next town, or some house you see far away in the woods. Locations will be packed with toolboxes, backpacks, and other storage containers that will contain so much ammo that it would make the NRA blush. After spending the last few weeks with The Division 2, it’s the clothing items here that play into my fashion obsession of finding new items to consistently change up my character’s look, an avatar you get to customize at the start of your adventure. Houses, cars, and nearly ever structure or bunker is filled with new clothing options that are mainly cosmetic, but some offerings actually have stats like fire or fall resistance. My only gripe with the clothing system is that while you can view what you’re picking up, the clothing menu doesn’t tag what catagories have seen new items added to them, forcing you to click through every tab and item to view any new additions since you’ve last checked out your spoils. Split into four catagories; combat, support, survival, and tech, you’ll have 48 different skills to put points into as you level up, with some skills having additional tiers to make their effects more potent. These range from hacking robots to do your bidding, being able to sprint faster, or building up more resistances to many of the dangerous threats that come your way. While the skill tree is anything but intimidating, the slow pace in which you’ll level up can make some skills feel incredibly far away, especially since you’ll need to put points into some skills before it eventually trickles down to the skill you actually want. It’s not a new system, other games have done it before, but it’s the speed in which you earn these points that could be sped up considerably. The way you earn experience is mostly through your encounters; win or lose, and the amounts can almost feel random as defeating a group of nearly a dozen robots gained us around 1500 experience, but then taking on two robots down the road netted us almost 800. Later on, we encountered a massive robot near a farmstead and only gained 43 exp from defeating it. While you can use skill points to increase your carrying capacity, you’re going to be fighting with your storage space and equipped items consistently. Items you have set to the quick select D-pad will disappear after a few uses, despite how many you have in your storage. This forces you to reset your D-pad items frequently. Most items, such as gasoline tanks, or set explosives don’t stack and if you’re carrying 4 or 5 of them, they’ll take up a considerable amount of the starter space you’re given. Even the items that do stack; ammo and health packs, have a limit before they’ll break off into additional stacks. When you’re hording pistol ammo, it’s not uncommon to see half a dozen slots in your inventory used up for a single item type. As several guns have numerous types of ammo to use, this can cause you to question what you want to pick up and what’s worth it to leave where it stands. Also, should you want to share ammo with a friend, you’ll have to drop a whole stack as you can’t split the ammo apart to drop a specific amount. Exploring around the Swedish countryside as I’ve mentioned is rather striking, with gorgeous visuals that look great no matter what times of day the game is displaying or the various weather conditions that are in play. However, navigating that massive open world is another matter entirely as it is incredibly easy to get lost and wander around aimlessly. While you can place custom waypoints, undiscovered areas will not show up on the map, requiring you to find it on your own. Some missions will specifically say to follow the road, find the house near a body of water, or to track down a nearby military base. While some of these objectives are very easy, some notes are wildly cryptic to the point of tedium. In fact, you won’t know you’ve found most locations until you literally go to open the door or step into a specific location. Had the game had a bit more focus and guided you even in the slightest way, then I probably would have enjoyed it a bit more. That said, for those that crave that sense of unknown and discovery, then this might be right up your alley. 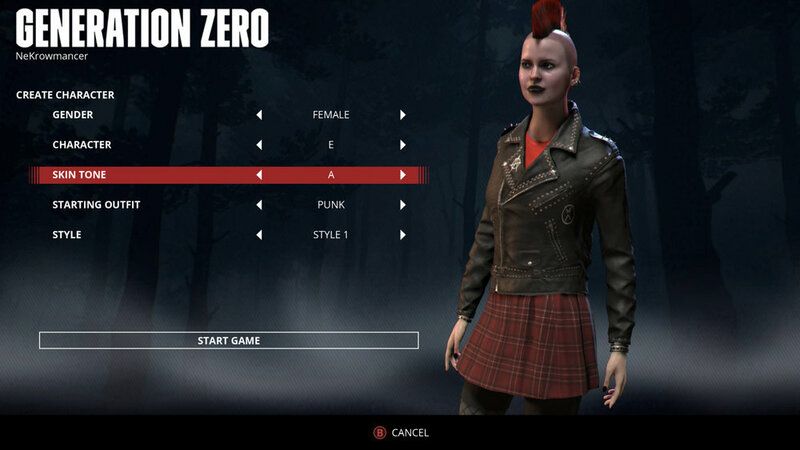 While I’ve been fairly down on my overall experience, it is the combat where Generation Zero does at least entertain, at least with a few caveats, one of which is playing this with at least one other person. Where the combat excels is during the brief moments of being swarmed by all the variations of robots that start to flood in as you spin around and fire off a shot, striking the gas tank on their back side, causing the robot to explode as another one darts through the light and smoke to take a shotgun round to the face. There are so many great examples of extreme satisfaction of hearing the “tink” of your bullet hitting one of those tanks and then seeing them explode. This is furthered when you encounter massive robots that are as big as houses and then you fire off a random shot in the dark and see them explode, leaving your mouth agape at the wonderment of what had just occurred. While I’ll get to my issues with the combat shortly, I’ve really been impressed with how despite the minimal variations between the robots themselves, that several of them have granted very different experiences depending if you’re caught out in the fields, trapped in a house, or ducking behind an abandoned car on the side of the road. Sure, the encounters can feel generic since we’ve seen scenario’s like these before, because hell, fighting robots is not exactly original either, but there’s something about what Generation Zero does here that makes it feel somewhat unique. Generation Zero doesn’t exactly deliver wild and crazy guns and opts to give you fairly generic weapons in rifles, pistols, shotguns, and a crude but effective rocket launcher. You can equip scopes, suppressors, and extended mags, among other things, to make each gun feel a little different. Each gun and modification comes in different condition states that affects how useful it is. For example, dilapidated scopes have cracks in the glass, obscuring some, but not all of the view you’ll have when sniping. There are various types of ammunition to change up the effectiveness of the gun, but you’ll have to swap to the other round types should you deplete the gun of one type. Combat can suffer because of these moments where you’ll need to bring up your menu, using a very archaic and dated system that isn’t intuitive or fast in any significant way. While guns will often put down your prey with a solid few shots to their weak areas, you can extend your chances of survival with various items that will short circuit the robots, or distract them, such as by using fireworks or flares. You can drop gasoline tanks and shoot them for considerable damage, which is nicely paired alongside using a radio to lure them close to the tank. While most of these options worked during various play sessions, there were countless times where the AI saw us (and shot at us) through buildings, way across fields, or during situations where they shouldn’t have been aware of us. If I had a nickel for every time I’ve been shot at through a solid wall, well, I’d have a hefty amount of coin. 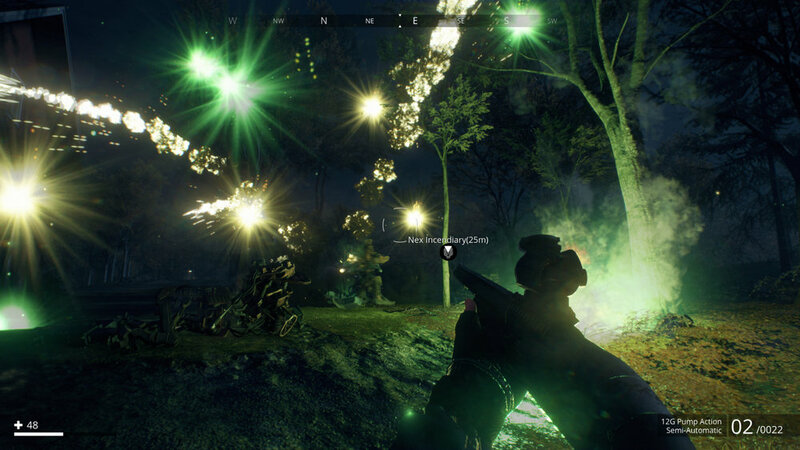 Apart from what I’ve mentioned already, Generation Zero is currently full of a ton of bugs. I’ve had some quest chains flat out stop working since I couldn’t interact with the object I was supposed to use, robots literally glitching through walls to attack me inside houses, to safe houses disappearing from my map. Other smaller complaints is the weapon switching feeling a bit sticky, the fall damage height is ridiculous, to the guns looking far too similar in the inventory menu. That said, I do like how the guns will flicker when you select the ammo type they are compatible with. One last complement I’ll toss in here is that the soundtrack is rather impressive and some of the music can give off chills. As a single player experience, It’s really hard to recommend Generation Zero, given the vast array of games that have released this year alone. The world here can be visually impressive but it lacks any real personality due to how nearly every house, bunker, and shack is no different from the other. The story starts out as something that could very well have been interesting, but there’s nothing really here to sink your teeth into apart from some notes and answering machine messages littered throughout the world. All my complaints aside, I’ve had a decent time playing this with a few friends, but it’s no secret that a good bunch of people playing together can make anything at least somewhat enjoyable. Generation Zero is by no means a bad time, it just doesn’t have enough going for it to truly stand out. A review code for Generation Zero was provided for the purpose of this review.